WiSec presents high quality research papers exploring security and privacy aspects of wireless communications, mobile networks, and their applications. I gave a plenary talk about mobile threats to privacy. My presentation covered common threats to mobile privacy and security, focusing on what information is stored on your smartphone and what information is shared – intentionally and unintentionally – with cloud providers and third parties. I reviewed common security problems and pitfalls, as well as the privacy risks consumers assume by operating smartphones powered by a burgeoning advertising industry. As part of Ford Foundation’s Wired for Change conference, noted consumer privacy experts and technologists Harvey Anderson, Brad Burnham, Kamala D. Harris, Jon Leibowitz and I considered how mining Big Data and safeguarding privacy can reasonably coexist, moderated by John Palfrey. In July 2012, I took part in a panel at the 20th annual Defcon Conference. I joined tech experts Christopher Soghoian from the Open Society Institute and Catherine Crump, staff attorney with the ACLU’s Project on Speech, Privacy, and Technology, for a briefing on the current technological and legal landscape of location data tracking. The panelists explored how consumer location tracking efforts weave a story about the systemic privacy vulnerabilities of smart phones and the legal ways in which law enforcement has been able to hitch a ride. The panel was moderated by the Director of the ACLU’s Project on Speech, Privacy, and Technology, Ben Wizner. As the Web continues to transition from a static collection of documents to an application platform, websites are learning more and more about users. Many forms of Web information sharing pose little privacy risk and provide tremendous benefit to both consumers and businesses. But some Web information practices pose significant privacy problems and have caused concern among consumers, policymakers, advocates, researchers, and others. Data collection is now far more complex than HTTP cookies, and the information available to websites can include a user’s name, contact details, sensitive personal information, and even real-time location. 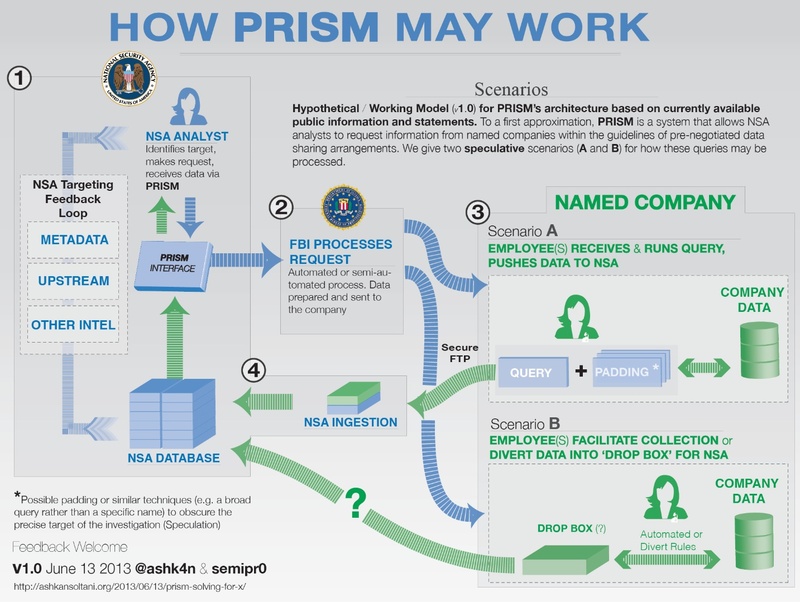 At present there are few restrictions on and scant transparency in Web information practices. There is a growing chasm between what society needs to know about Web tracking and what the privacy measurement community has been able to bring to light. A number of practitioners, researchers, and advocates have begun to more formally study how websites collect, use, and share information about their users. The goal of the Conference on Web Privacy Measurement (WPM) is to advance the state of the art and foster a community on how to detect, quantify, and analyze Web information vectors across the desktop and mobile landscapes. Such vectors include browser tracking, such as cookies, flash cookies, the geolocation API, microphone API, and camera API; and server-side tracking, such as browser fingerprinting. We are also interested in the deployment of privacy-preserving technologies, such as HTTPS and proper deployment of P3P. I served on the programming committee for this event, and led a discussion about tools for web privacy measurement. The 4th Annual State of the Mobile Net Conference featured debates about the most pressing issues facing the exploding mobile net. While App developers frenetically code away, Washington policymakers are looking more and more closely at the mobile net ecosystem. Indeed, Washington policymakers are eager to help the mobile net achieve its potential by freeing up spectrum, implementing consumer protections and considering privacy rules for the burgeoning app market. With the speed at which the mobile net is evolving, how can Washington policymakers provide the appropriate level of assistance? People routinely carry smartphones and other devices capable of recording and transmitting immense quantities of personal information and tracking their every move. Privacy has suffered in this new environment, with new reports every week of vulnerabilities and unintended disclosures of private information. New York University’s Information Law Institute and Princeton’s Center for Information Technology Policy hosted a technology and policy dialogue about the new world of mobile and location privacy. They brought together the policy and technology communities to discuss the substantial privacy issues arising from the growth of mobile and location technologies. I gave a technical demonstration. NYU/Princeton Conference on Mobile and Location Privacy — Technology Demonstration: Askhan Soltani from NYU Information Law Institute on Vimeo. The age of ubiquitous computing is here. People routinely carry smartphones and other devices capable of recording and transmitting immense quantities of personal information and tracking their every move. Privacy has suffered in this new environment, with new reports every week of vulnerabilities and unintended disclosures of private information. On Friday, April 13, 2012, New York University’s Information Law Institute and Princeton’s Center for Information Technology Policy will hosted a technology and policy dialogue about the new world of mobile and location privacy. The gathering aimed to bring together the policy and technology communities to discuss the substantial privacy issues arising from the growth of mobile and location technologies. I did a technology demonstration. Privacy Identity Innovation is the only tech conference focused on exploring how to protect sensitive information while enabling new technologies and business models. Over 250 attendees from around the world participated in the second Privacy Identity Innovation conference, which took place May 19-20, 2011 at the Santa Clara Marriott hotel in Silicon Valley. On May 19, I participated in a roundtable discussion called Pii and Location: Can You Find Me Now? pii2011: pii and Location: Can You Find Me Now? from Marc Licciardi on Vimeo. On May 20, I was part of a panel discussion on Simplifying Privacy Notice. pii2011: Simplifying Privacy Notice from Marc Licciardi on Vimeo. 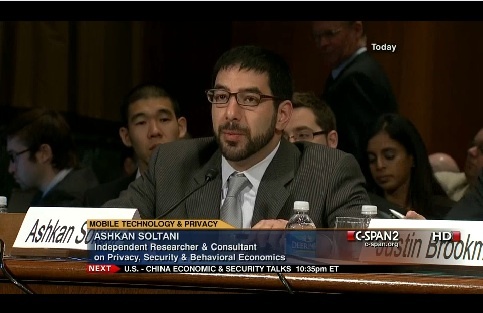 On May 10, 2011, I testified in front of the Senate Judiciary Committee on Privacy Technology and the Law regarding mobile privacy. The other witnesses included representatives from Apple, Google, Center for Democracy and Technology, and the Association for Competitive Technology. USA Today live blogged the hearing.